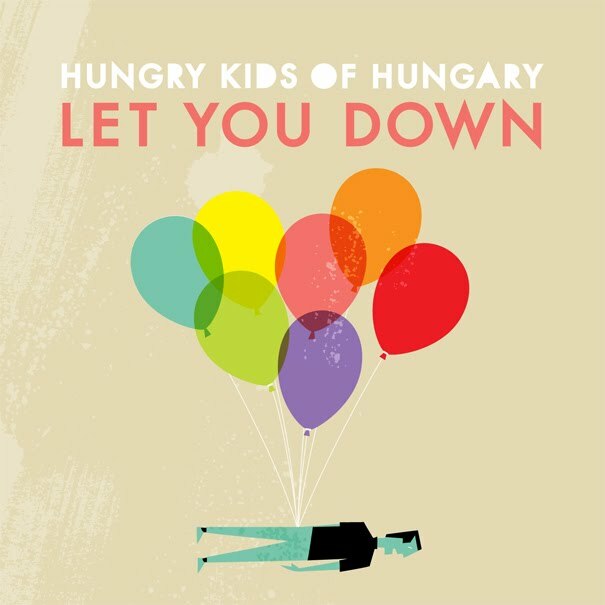 • Plenty of new tunes at radio this week (including the aforementioned singles by Miley Cyrus, NKOTBSB and Jennifer Hudson), but the Hungry Kids of Hungary won’t be ignored with their colourful new single ‘Let You Down’, which was originally released back in 2009. • Also from EMI this week is ‘End To The Lies’ – the new single by Jane’s Addiction – and Adelaide outfit Leader Cheetah’s new tune ‘Crawling Up A Landslide’. • From the Sony stable this week are a clean version of Avril Lavigne’s new single ‘Smile’, the Sade single ‘The Moon And The Sky’ (featuring Jay-Z) and Oh Land’s buzz single ‘Sun Of A Gun’. • Universal’s new tunes include Mona’s ‘Listen To Your Love’, Above & Beyond’s new track ‘Sun & Moon’ and the Jump Jump Dance Dance remix of Tim & Jean’s latest track ‘I Can Show You’. • Speaking of Universal, their latest release schedule has revealed a one week delay to the deluxe edition of Jennifer Lopez’ forthcoming album ‘Love?’. The standard edition hits the shelves on Friday April 29, with the deluxe edition now due on Friday May 06. • The Dainty Group has announced that Miley Cyrus’ forthcoming tour of Australia looks increasingly likely to be a complete sell-out, with only limited tickets remaining for all shows. Extra dates were added last week to cope with demand, but they too have virtually sold out. The tour publicist tells us that no extra shows will be added. • Foo Fighters’ new album ‘Wasting Light’ has debuted at No.1 on the ARIA albums chart this week, breaking digital download records in the process. Sadly though, we’re allowed to know just how many copies they sold in the first week. It debuted with a platinum (70,000 copies) accreditation. • The Creamfields festival hits our shores later this week, but those itching for a sideshow for current chart diva Wynter Gordon will be sadly disappointed. However, an exclusive under 18 event is to be held in Melbourne this Thursday. All the details for that HERE. • Remember Tatiana? We wrote about her debut UK single ‘Spider Web’ last month on auspOp (HERE). As promised, the singer has released it globally – including here in Australia where a one track single and a remix bundle (Club Junkies, 7th Heaven) are now available in the local iTunes store. • LMFAO has nabbed the No.1 singles position in the UK this week with their single ‘Party Rock Anthem’ – much like they did here in Australia. Snoop Dogg and David Guetta are into the top five at No.4 with ‘Sweat’, while Rihanna and Chris Brown are into the top ten at Nos.7 and 8 respectively. The highest new entry of the week comes from Lady Gaga with her new single ‘Judas’ at No.14. • And the Foo Fighters have debuted at No.1 on the British albums chart with their new long player ‘Wasting Light’. Glee’s ‘Volume 5’ is in at No.4 and Cee Lo Green’s album ‘The Lady Killer’ is back into the top ten at No.8.